one of Milo's main christmas gifts was a little kitchen unit. 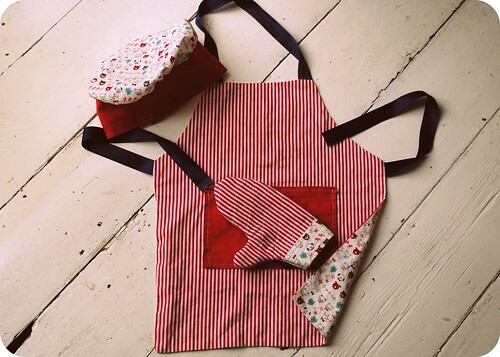 It's super special because it was handmade by one of our friends for his son and it's perfect for my boy who loves to help in the kitchen. 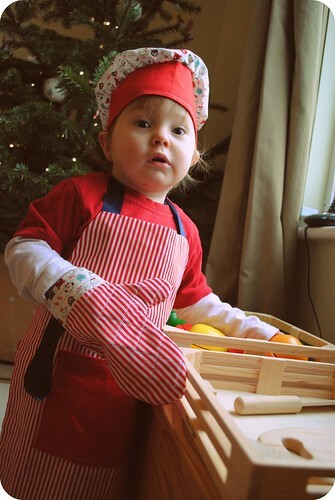 To accompany the kitchen we got Milo some of these lovely wooden slicing fruits and just 2 days before christmas I decided to stitch him up an apron, hat and oven mitt!